Abundant Grace True Church History | True Church of God in Christ, Inc.
Elder Greene Bryant, Sr. (currently known as Bishop Greene Bryant, Sr.) became acquainted with the True Church of God in Christ under the leadership of Bishop Willie Lewis Lucas in 1955 through a church mother named Mother Austin. In 1956 Elder Greene Bryant built a new sanctuary on 236 Baker Street in Savannah, GA and in the year of our Lord 1958, Holy Fountain True Church of God in Christ was established at the 236 Baker Street location with Elder Greene Bryant, Sr. as pastor. Elder Bryant, Sr. served as pastor of Holy Fountain True Church of God in Christ, Inc. from 1958 until November 1990 at which time he separated from The True Church of God in Christ, Inc.
Elder Willie Fred Lucas, Bishop of the True Church of God in Christ at that time, traveled to Savannah with Elder Oprie Jeffries to assess the situation: Less than 8 members remained. Elder Oprie Jeffries then served as pastor of Holy Fountain TCOGIC for approximately one year, traveling from Lithonia to Savannah several times a month assisted by Elder Gary Battle, Sr. After approximately a year, Elder Gary Battle, Sr. took the reins and began traveling from Scottdale, Georgia to Savannah on a weekly basis to pastor and to continue to rebuild the Savannah church. The church became known as Savannah True Church of God in Christ. Brother Jerry Lucas volunteered to drive and assist Elder Battle. 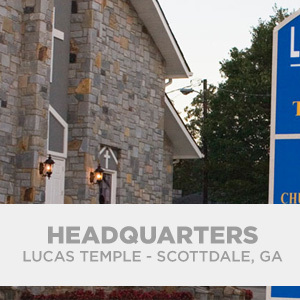 After approximately one year, Brother Jerry Lucas was ordained a minister and was assigned to serve at Lucas Temple TCOGIC in Scottdale, GA. In December 1993 or shortly thereafter, Minister Charles N. Thomas from Burke County TCOGIC was assigned to assist Elder G. Battle at the Savannah TCOGIC and continues to serve in Savannah until this date. 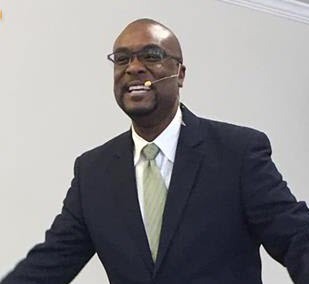 Elder Battle served in Savannah from 1990 – 2001 at which time he was assigned to the church in Scottdale, GA and Elder Marvin Jones, Sr. was assigned to Savannah where he served from 2001-2007. In 2007 Elder Nathaniel Turner was assigned to serve in Savannah and did so until his untimely death. 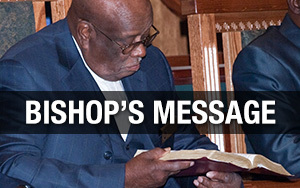 After the passing of Elder Turner, Elder Emmitt Robinson, Jr. pastored the Savannah church, traveling from Dallas, Georgia to Savannah from 2007 – 2014 at which time he was reassigned to Augusta and Girard TCOGIC. 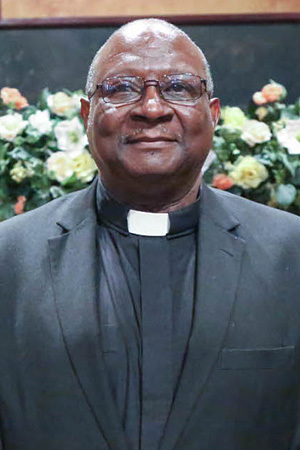 In 2014 Elder Marvin Jones, Sr. returned to Savannah TCOGIC. In September 2017 under the leadership of Elder Marvin Jones, Sr. the Savannah TCOGIC moved to a new location, 4327 ACL Blvd, Savannah, GA and the name was changed from Savannah TCOGIC to Abundant Grace TCOGIC. The first service was held in the new building on Sunday, January 21, 2018 and the Church was dedicated January 27, 2018 during the 62ndChurch Anniversary. To God be the Glory for all of the things he has done. Sunday – 10:00 a.m. and 7:00 p.m.